Your financial support goes a long way in changing the lives of those in need. Through the generous donations of the public, People Who Care provide free financial counselling, zero-interest loan scheme and emergency relief products, such as food vouchers. People Who Care provide practical financial advice and support to over 500 people in extreme financial hardship each year. The funds are raised through the generous donations of the community, and 100% of money received through donations is provided directly to the community. Specify how much you wish to donate via the form above or contact us via phone on 9379 1944 to discuss other methods of donating financially. Please enter your request in the comment section above. You can be assured that your entire donation will be utilised to support someone in need. 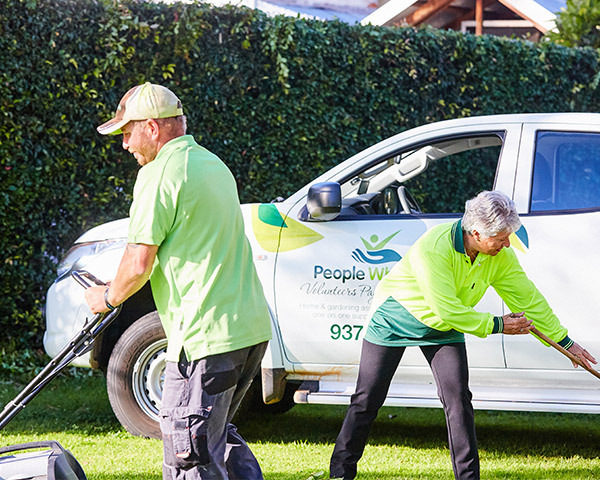 People Who Care is a not-for-profit volunteer service provider established in 1980, providing volunteer support to people in need, whether they are frail aged, have a disability or are in financial or social hardship with little family or community support. Our vision is to build resilient communities through the engagement of willing volunteers, helping others in need. We do this by providing practical support to people, such as home maintenance, gardening, transport and social and community participation. Need more information or ready to take the leap? Please complete the form below and a representative will respond within 5 business days.